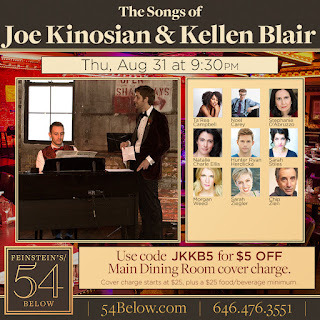 KINOSIAN AND BLAIR: 54 Below Show - August 31st, 2017! 54 Below Show - August 31st, 2017! 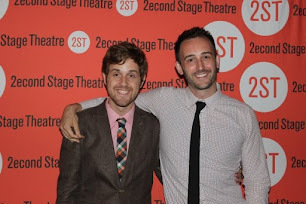 We couldn't be more excited about the line up of actors we managed to trick into being get for our concert! We'll be doing songs from two new shows we've been developing with 2nd Stage, a couple of brand new stand alone songs, foreign translations from Murder For Two (just to shake things up)... and there might even be a visit from our old friend Mae West. Get your tickets now by clicking here!